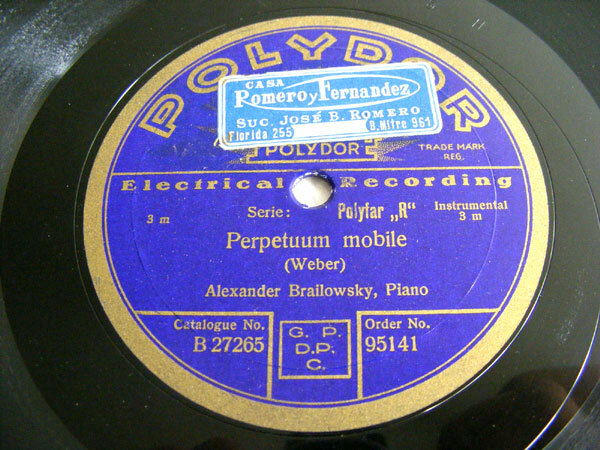 Side B: WEBER "Perpetuum mobile"
All our items after 30 days on eBay, will be listed here, a large stock of 78rpm records and collectibles, you'll find rarities and south american editions... Enjoy your visit!!! Click the button below to add the ALEXANDER BRAILOWSKY Polydor 95141 PIANO 78 SCARLATTI to your wish list.